There are now plenty of airports that are pet-friendly, but taking your favorite furry pal along on a trip can still be stressful. While pet relief areas have popped up all over the place, thanks to a federal regulation, there are a few airports that have gone above and beyond to make life easy for those with service animals or who just like taking their pet along on a trip. Upgraded Points ranked airports that exceeded expectations concerning traveling with a pet. Eight other terminals have access to pet relief areas once you’re past security. You’ll find an indoor post-security relief area in each concourse, along with a pre-security dog park that spans 1,000 square feet. The fully-fenced-in area has benches and biodegradable bags. It also has a 24/7 onsite boarding facility, Pet Paradise, so you don’t have to leave them until last minute and you can see them as soon as you arrive back home. Three post-security areas have spots for pets to take potty breaks, drink water and stretch their legs. Six other similar areas are located pre-security, are fully gated and are outside terminals 2, 3 and 4. With more pet relief stations than any other airport, LAX offers eight indoor areas for pets beyond security, as well as three outdoor stations. The airport also has a seven-days-a-week PUP (pets unstressing passengers) program that features 30 trained dogs and handlers who provide a less stressful airport environment. Each terminal has a post-security indoor pet relief area, featuring a fire hydrant, faux grass and a sink. There are two outdoor areas, as well. The best pet feature here, however, might be Now Boarding — an affiliate of the Animal Human Society — that not only provides grooming services, boarding and training, but they will also pick you up from your terminal and return you to your pet and vehicle for free. There are so many things we love about Austin’s pet-friendly airport. For starters, it has a “Dog Walk” that is lighted and landscaped and has a pet drinking fountain, dog waste pickup bag and trash bins. Though this one is located pre-security, there’s also a post-security relief area. Bark and Moon, which is equipped with an outdoor play yard and dogs-only swimming pools, will valet your car to a covered parking lot and shuttle you to your terminal. But even if you aren’t traveling with your pet and just need a fix, a local wellness company and the airport hold a quarterly event in which they have pet therapy dogs in the airport. Here’s another great one. This airport has an indoor pet relief area, as well as two outdoor dog parks. The outdoor “Bark Parks” are fenced in, ADA accessible, have running water, mutt mitts to clean up with, a fire hydrant and a canopy. It also has a popular Paws for Passengers program that helps to welcome and send off passengers. The large Pet Park allows animals to stretch, run and relieve themselves, and a smaller pet relief area can be found at the end of the baggage claim hall on the lower level. Inside concourses A, B and C, you’ll find pet relief areas that feature turf flooring with a drainage system, an artificial rock, and wall murals featuring Colorado’s outdoors. 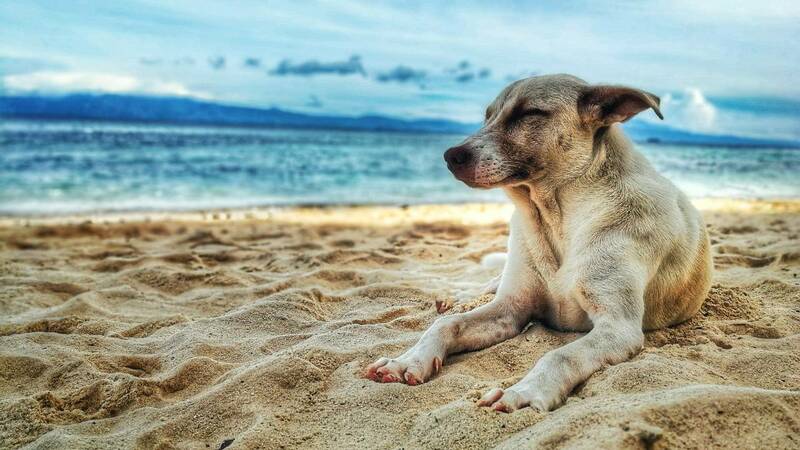 In addition to a pre-security outdoor relief area, Paradise 4 Paws offers an on-airport boarding facility with more than 25,000 square feet of space for your dog or cat to roam. The premium pet resort is a 24-hour service that includes day and overnight stays. While these pet relief areas are pretty basic, there are plenty of them: four located post-security and multiple outside entry doors. The airport also has Paradise 4 Paws, a premier resort for cats and dogs, which is staffed 24 hours. Have you traveled through any of these airports with your favorite pet pal? Which was your favorite? We'd love to hear about it in the comment section below.